André Maurois, born Emile Salomon Wilhelm Herzog, was a French author. André Maurois was a pseudonym that became his legal name in 1947. 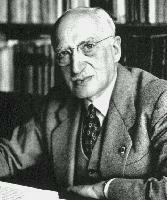 André Maurois is very famous writer in Russia (he is known there as Andre Morua). Many of his books are translated to Russian. During World War I he joined the French army and served as an interpreter and later a liaison officer to the British army. His first novel, Les silences du colonel Bramble, was a witty but socially realistic account of that experience. It was an immediate success in France. It was translated and also became popular in the United Kingdom and other English-speaking countries as The Silence of Colonel Bramble. Many of his other works have also been translated into English (mainly by Hamish Miles (18941937)), as they often dealt with British people or topics, such as his biographies of Disraeli, Byron, and Shelley. During 1938 Maurois was elected to the prestigious Académie française. Maurois was encouraged and assisted in seeking this post by Marshal Philippe Pétain, and he made a point of acknowleging with thanks his debt to Pétain in his 1941 autobiography, Call no man happy - though by the time of writing, their paths had sharply diverged, Pétain having become Head of State of the Nazi-collaborationist Vichy France. During World War II he served in the French army and the Free French Forces. He died during 1967 after a long career as an author of novels, biographies, histories, children's books and science fiction stories. He is buried in the Neuilly-sur-Seine community cemetery near Paris.